We will be joined by knitting rockstars Isabell Kraemer and Ann Budd, and Saori weaver Kathy Utts. I’m excited to announce my first Cre8tive Escape! This getaway was born out of a desire to pair my love of learning new things with my love of intimate luxurious settings. The event will take place at the Hoffman Haus—a luxury bed-and-breakfast situated in the heart of Fredericksburg. 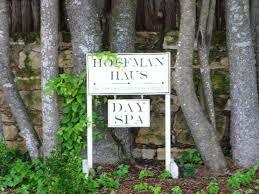 Steeped in the legacy of gracious hospitality, Hoffman Haus is one of Fredericksburg’s premier properties. It provides the perfect setting for discerning guests to enjoy the historic charm of Fredericksburg. The beautifully appointed grounds and accommodations span five acres in a charming neighborhood just a block from Main Street. 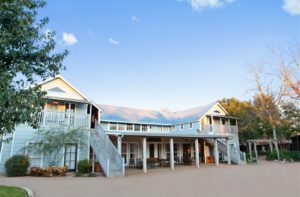 Guests experience the serenity and seclusion of a country retreat right in the heart of downtown Fredericksburg. Modern luxuries and timeless amenities combine to provide the quintessential Hill Country experience. The property consists of a couple of small houses as well as a number of picturesque cottages, each with unique decor and all the modern amenities. A picnic basket containing a hot breakfast will be delivered to your door at 9:00 a.m. each morning. You won’t be disappointed! Those of you familiar with other retreats that I’ve organized will find this retreat much less structured and featuring plenty of free time. The scheduled events take place in the mornings, leaving the afternoons free to relax, have fun with like-minded crafters, or enjoy a treatment at the on-site spa. There will also be one “free” evening to explore the city and experience the local cuisine. Of course, you may choose to opt out of any of the scheduled events in favor of even more free time. German knitwear designer Isabell Kraemer, aka Lilau, has a background in dressmaking and a passion for fresh, wearable, and modern garments. Her timeless, classic designs are often among the list of what’s hot on Ravelry. Isabell’s designs have been published in Laine Magazine, Amirisu, and Vogue Knitting, as well as many yarn companies, and of course, Ravelry. Follow Isabell’s life in pictures on Instagram at lilalu72. Learn three different patterns (ribbing, slip-stitch colorwork, and lace) while knitting a miniature version of the Copenhagen Calling cowl. I will guide you through choosing the best cast-on method, different ways of joining for working in the round, show how to carry up unused yarn, working mosaic colorwork (slip-stitch colorwork) and lace in the round, and many more. You’ll leave with all the techniques needed to knit your own Copenhagen Calling cowl and a whole lot more! Materials: notebook paper, pencil, tape measure, gauge swatch (see homework), approximately 165yds (150 m) DK to worsted weight yarn in 2 colors + extra yarn for the gauge swatch, matching circular needles 16″ (40 cm) long, stitch marker(s), darning needle. Homework: gauge swatch 4″ x 2″ (Stockinette stitch) of the yarn intended to use for the miniature cowl, stitches should be left live on the needle. 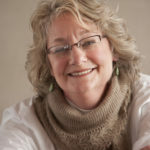 Ann is a freelance knitting editor, author, teacher, and designer. She has authored more than a dozen books, including the Handy Book series and many of the Style series, as well as several books on sock knitting, including Getting Started Knitting Socks, Sock Knitting Master Class, and New Directions in Sock Knitting. 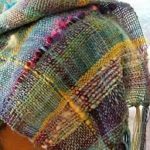 Ann is also the host of Knit For Retreats, which are held twice a year at various locations in the U.S. Ann lives in Boulder, Colorado, and teaches workshops around North America and abroad. Learn more at annbuddknits.com. 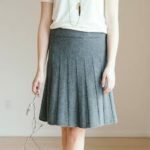 Ann will teach her popular class on custom-fit knitted skirts. Ann will measure you for the ideal fit, you’ll shop for yarn at the on-site marketplace, and knit a gauge swatch under Ann’s guidance. By the end of the weekend, Ann will work out custom instructions for your body and your gauge. 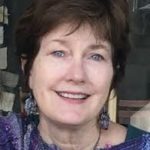 Saori weaver Kathleen (Kathy) has a degree in home economics with the intent of teaching sewing and tailoring, worked for twenty years teaching nutrition and dietetics, then opened her own yarn shop Ply, in Wimberley, Texas. As a weaver, spinner, and knitter, Kathy resonates with the concept of “free form.” Saori style weaving and the creation of artistic clothing is a perfect match for her interests and skills. Kathy will guide us in saori weaving. Saori is a free-style handweaving movement that started about 35 years ago in Osaka, Japan. Developed by Misao Jo, this contemporary technique encourages weavers of all abilities, from newbies to experts, to weave freely in their own way using their full creative capacity. Kathy will guide you through the principles of the technique and help you unleash your own creative expression. Kathy is the owner of Wimberley Valley SAORI and she will be bringing Sarah Dauro to co-teach her with the classes and she is the owner of Handmade SAORI in Belton, TX. In addition to classes, you’ll also have the opportunity to join in a cooking adventure in the heart of the Texas Hill Country. Learn to cook, learn to taste, learn to share, and learn to laugh—it’s all part of Fischer & Wieser’s Culinary Adventure Cooking School. A two-hour class features a four-course lunch, brunch, or dinner that opens a window onto one of the many dazzling Texas cuisines. To enhance the culinary experience, the meal will be accompanied by wines from the Hill Country. It’s a little-known fact that the Hill Country is second only to Napa Valley in terms of viticultural visitation. You’ll also have access to a spectacular on-site marketplace provided by Yarnivore and Nan’s Needleworks. In addition to the yarns and notions these two Hill Country shops stock routinely, they’re planning to bring in some exciting trunk shows of local and not-so-local yarns for a one-of-a-kind shopping experience. And that’s not all! But I’d spoil some of the fun if I told you about the special surprises planned throughout the weekend. Because the Hoffman Haus is made up of little cottages, there’s a limit to just four (4) single rooms. With the exception of one room that contains three (3) twin beds, all the other rooms contain a single king-size bed that will be shared by two (2) attendees. 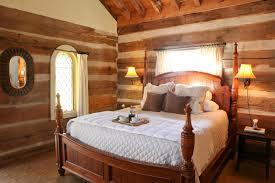 These rooms are ideal for those traveling with family members or close friends. However, I’m happy to pair you with a roommate, should you request one. Payment may be made in full at time of registration. Through February 1, 2019, you can use your Paypal Account to make a deposit of 1/3 of your registration total. At payment, you’ll be prompted to log in or create a Paypal account. Subsequent payments of 1/3 the total will be collected monthly for 2 more months, a total of 3 payments. Once the final payment is made PayPal automatically terminates the payment contract. The cost of the weekend includes all classes, lodging, meals (with the exception of a free night on Saturday to explore the city), a fabulous swag bag, new experiences, and lots of time in a small group setting with Isabell, Ann, and your fellow knitters. There is a $150 fee for cancellations until Jan 31 and no refunds after Feb. 1, 2019; but we’ll send the fabulous swag bag to you after the event.